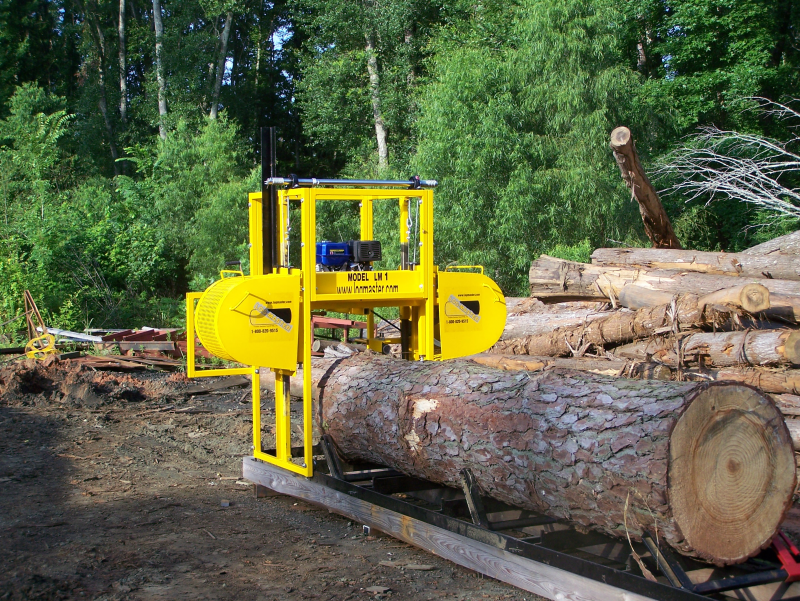 THE LM 1 27 HP KOHLER POWERED SAWMILL RETAIL PRICE IS $10,500.00 The LOG-MASTER Model LM 1 Portable Sawmill is a rugged, reliable, dependable and economical personal sawmill built in America today. 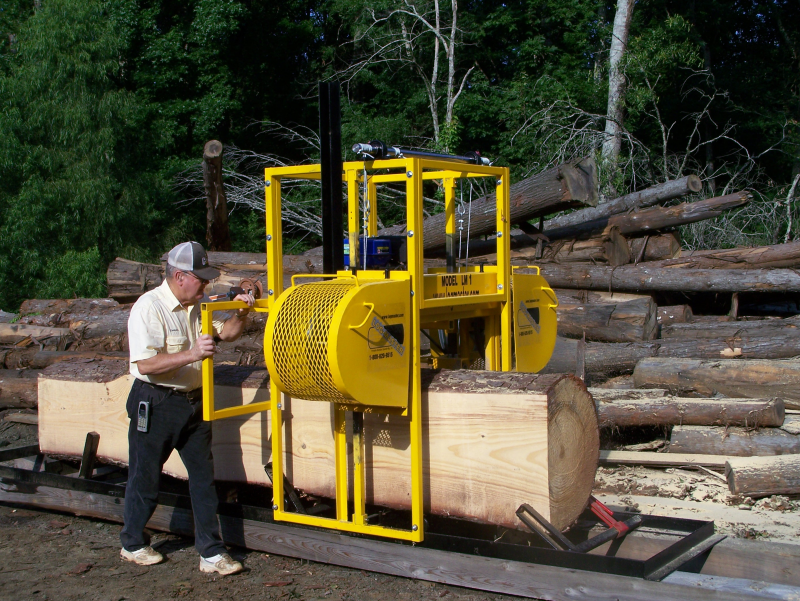 This portable sawmill, with it’s large log capacity, is the favorite of the serious wood crafter, farmer, rancher or the people who want to make their dreams come true by building their own home. 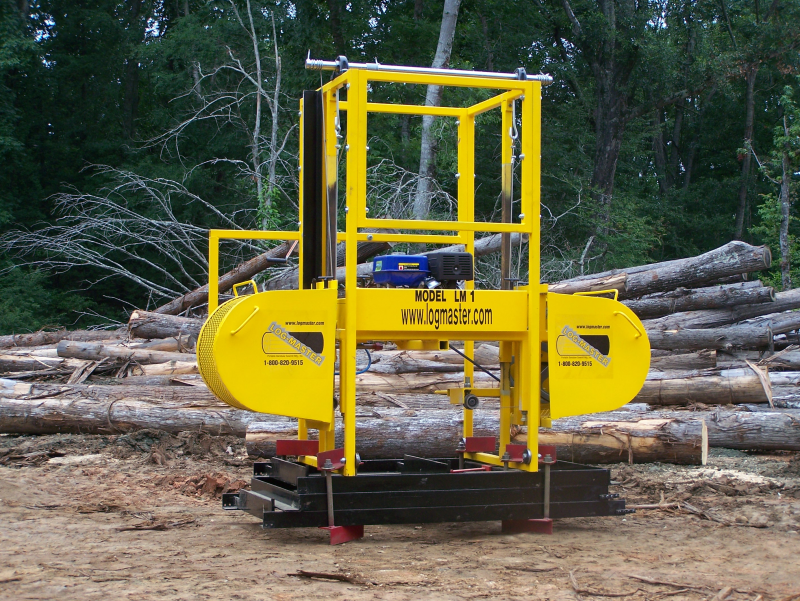 With a 30″ saw throat and 12 foot cut length (extra track section are in 6′ lengths). This is all that a do-it-yourselfer will ever need. A powerful 27 HP Kohler EFI electric start gas engine. 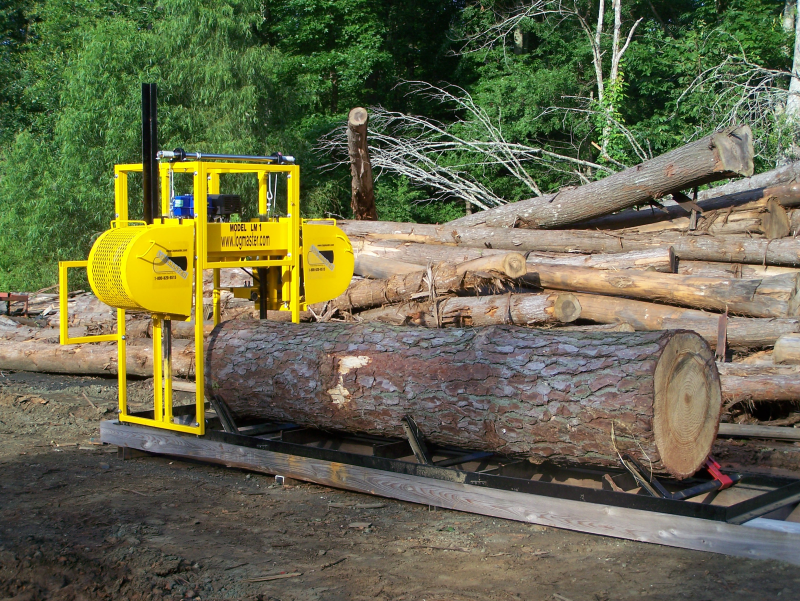 2 – 5′ track sections and 1 – 6′ track section (16′ total length). Track frame made from 3″x3″x1/4″ thick steel. 2″ drive and idler shaft with bearings on each side of the band wheels. No side load on band wheel bearings. 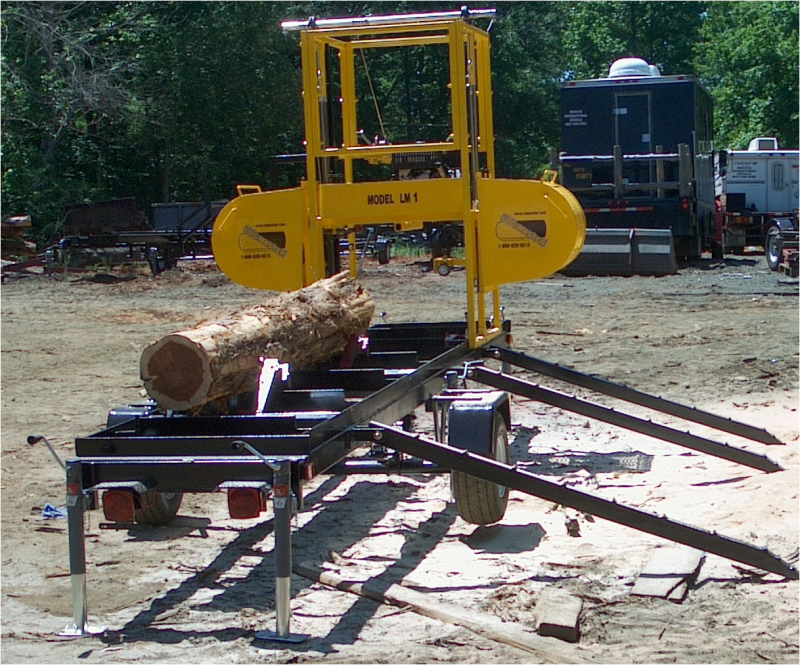 3 quick set adjustable log dogs and 3 back dogs that work together so you don’t have to work each side of the mill when you are clamping your logs. 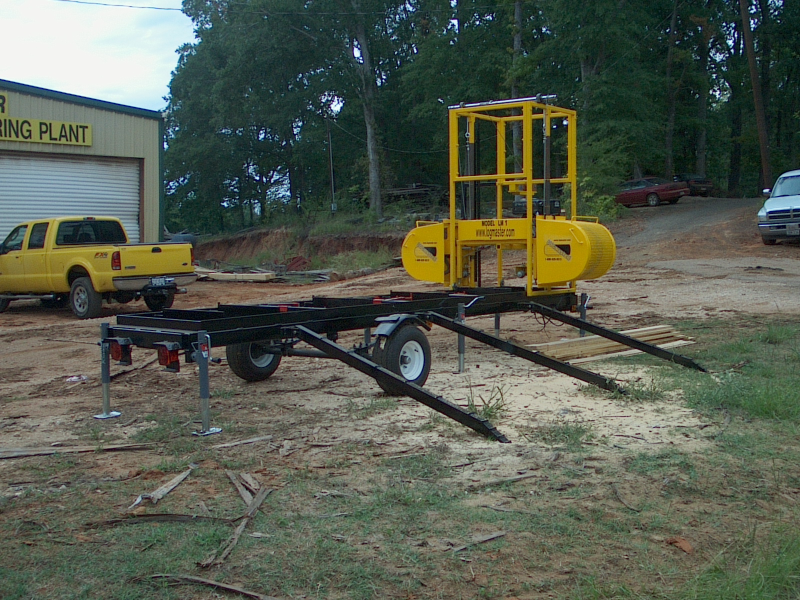 6′ extra ground mount track with log clamp and back dog. 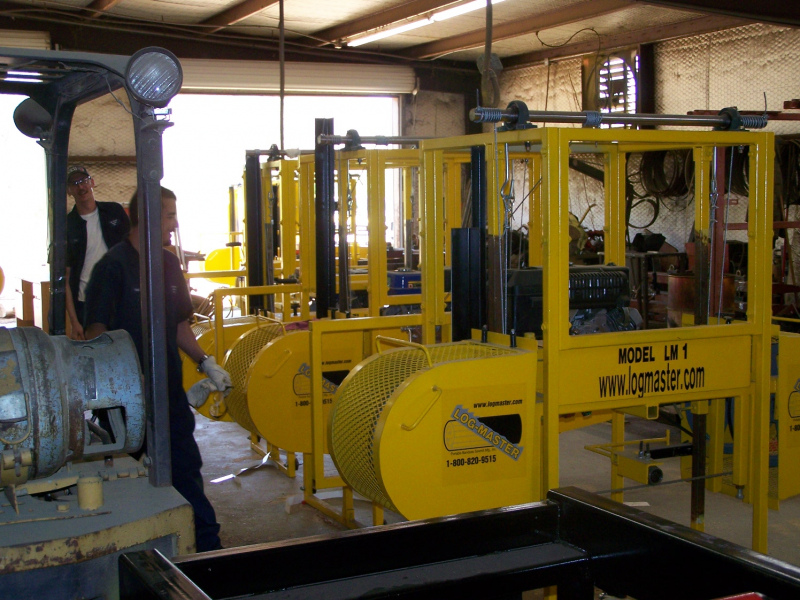 1-1/2″, 2″, 3″ and 4″ log taper adjustments. You can contact us by phone or email. Click the link below to find out how!